Founded in the year 1975, we ‘Shibam Ventures & Building Materials Private Limited’ are actively engaged in service provider and distributing the Thermal Insulation and Roofing Shingle for our valuable clients. Our product range encompasses Roofing Shingles, Waterproofing Membranes and Thermal Insulations. Offered products are manufactured from the quality approved components at vendors end. Along with this product range, we are also rendering installation services of roofing shingles. Apart from this, we are offering our products at pocket friendly prices to our customer within the assured period of time. We have associated our vendors with utmost care after a detailed market analysis. Moreover, before the final dispatch of the products, these are tested against the diverse quality parameters by the quality controller team.To satisfy our clients in an effective manner, we are offering our products in standard as well as customized configuration. For the benefit of our clients we are offering different payment options to them such as Cash, DD and Online Fund Transfer. Under the leadership of our mentor 'Mr. Adnan Saboowala' we are growing in the market day by day. We have achieved such a huge mile stone in this domain just because of his valuable supervision. Owing to his customer focused approach we are able to develop a wide client base. Trading of Roofing Shingles, Waterproofing, Construction Chemicals and Thermal Insulation. We have expertise in the products we deal in. We can provide detailed installation technique to install Roofing Shingles, Waterproofing Materials, Construction Chemicals and Thermal Insulation Materials. We maintain a huge stock of all the Roof Shingles shades. We are one of the best possible options to our clients in the market. We always satisfy our clients by delivering the product as per their exact requirement. In addition to this, our skilled ethics and reliable qualitative approach have enabled us to maintain prolong tenure with our clients. For the safe storage of our products, we harbor a spacious warehouse located at the strategic area of Bhiwandi. This place enables us to supply material conveniently and give the cost benefits to our customers. 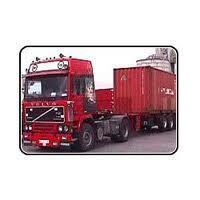 Having our own transportation system, we execute the supply of material on stipulated schedule. Our state-of-the-art warehouse enables the categorical and safe storage of a wide assortment of Roofing Shingles and Waterproofing Products. This enables us to place our products in an organized manner, which in turn allows us to ensure the quick and trouble free loading and unloading of the products. We have appointed a team of extremely industrious and skilled professionals with immense expertise and vast experience in our organization. Our team is accountable for catering a high quality range of Roofing Shingles and Waterproofing Products. Their rich knowledge in the respective fields and capability to perform under harsh conditions is what makes them a champion team. These professionals work in close collaboration, in order to achieve the basic organizational aim to provide quality accredited range of products and in turn attain optimal client satisfaction. Our trained and experienced labor-force has an average experience of more than 50,000 man hours per employee. This experience enables us to stand in good stead with our clients and gears up to meet the most demanding and challenging assignments regarding waterproofing solutions. Apart from the above products, we also render specialty construction chemicals, cold applied liquid membranes, roofing shingles, sealants, torch applied membranes and insulation & waterproofing material. 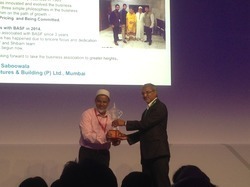 1st Runner up of BASF Distributor League - All India Level for the year 2014. Leveraging to the long term relationship with our vendors, we have been able to efficiently meet the increasing demands and needs of our prestigious clients. Our vendors offer us immaculate quality products and at industry leading prices. We have associated our vendors with utmost care after a detailed market analysis. With the help of our vendors, we are able to attain the maximum client satisfaction.